It’s easy to compare the career trajectory of Russian superstar bodybuilder come Actor, Producer, Writer Alexander Nevsky as following in the footsteps of the Austrian Oak himself Arnold Schwarzenegger. A household name in his native Russia with all his films since his breakout role in MOSCOW HEAT screening theatrically. The Former Mr. Universe has also authored 9 books on fitness and written hundreds of articles on the subject. Studying English at UCLA along with acting at the famed Lee Strasberg Theater Institute Nevsky has just wrapped work on his 11th feature film MAXIMUM IMPACT. FilmFrak was fortunate enough to get the opportunity to chat with the 6’6 gargantuan about his career on and off camera. Proving to be a focused force appreciative of his trajectory we are pleased to share the conversation below. Welcome to FilmFrak Alexander Nevsky. Thank you for your time. We are here today to talk about SHOWDOWN IN MANILA. Can you tell us a little about your role as Nick Peyton and what the film is about? Alexander Nevskey: In Showdown in Manila I’m playing ex-cop Nick, he’s a tough guy but he has a big heart. Here is the storyline: two private detectives live and work in Manila. A murder investigation leads them to the jungle camp of an international terrorist called The Wrath. Not trusting the police, the detectives assemble a team of daredevils to walk straight into the Wrath’s lair and fight an army of his goons. 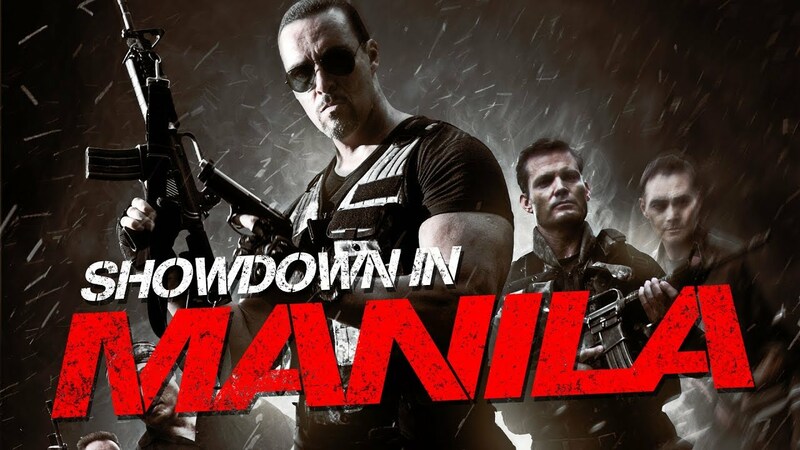 I produced Showdown in Manila and created an original story with Craig Hamann and Mark Dacascos. The Expendables franchise was a big inspiration. In the film you star opposite Casper Van Dien, Tia Carrere and Cary-Hiroyuki Tagawa. What was it like to perform alongside these cult icons? Is there any lessons about the craft that you gleaned from your time with them? 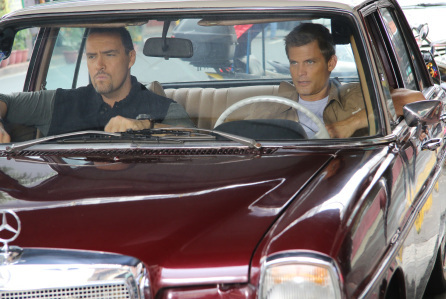 Alexander Nevskey: Casper Van Dien played my character’s partner. He’s a great actor and helped me a lot during our scenes. We improvised and made jokes all the time. I’m a big fan of Tia Carrere and Cary-Hiroyuki Tagawa. It was nice to see them working together again (they did Showdown in Little Tokyo about 25 years ago). Of course I learned a lot from them. Especially about an ability to relax before and after shooting. 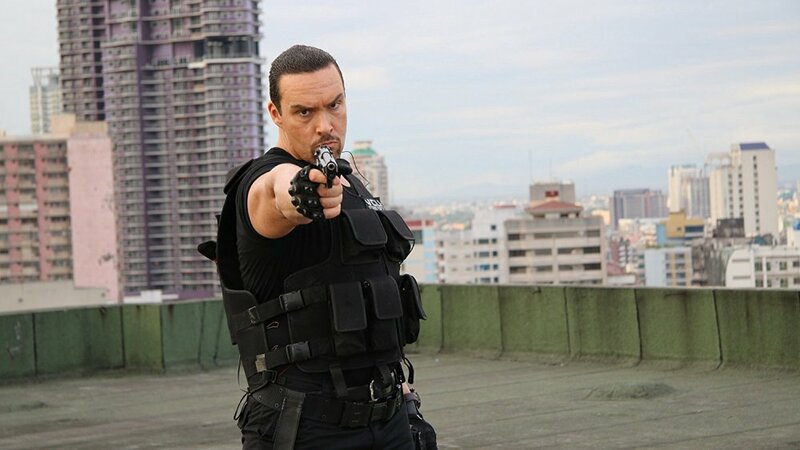 The film is martial artist Mark Dacascos’ Directorial debut. What was it like working with a first-timer and how did he earn your trust? Alexander Nevskey: Mark Dacascos is a personal friend, we have known each other for years. He’s an unbelievable martial artist and he’s a very good actor at the same time. I think he did a great job as a first time director. He was very easy to work with and he was always positive. We created Showdown in Manila as his directorial debut from the beginning. 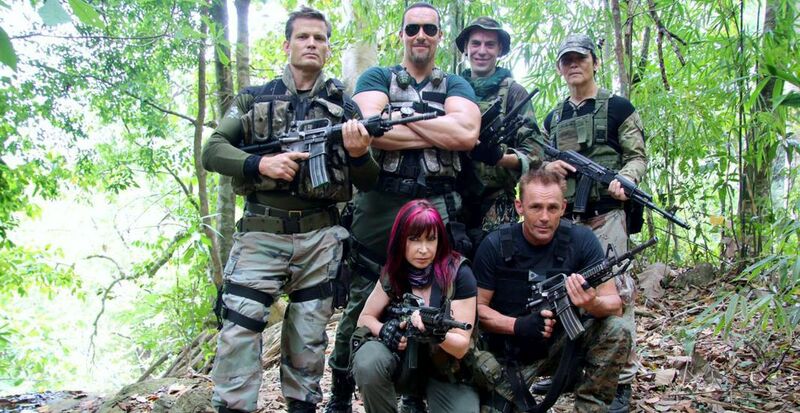 As a martial artist yourself, what was it like working with legends like Don the Dragon Wilson and Cynthia Rothrock in SHOWDOWN IN MANILA? We recently interviewed both of them and they had some great stories to tell! Alexander Nevskey: I started as a boxer and a kick-boxer and switched into bodybuilding later so I don’t know if you can call me a martial artist but I always loved Don’s and Cynthia’s movies. Also, I attended Don “The Dragon” Wilson’s training seminars in Moscow in the 90s (I did kickboxing at the time). It was a dream come true to work with them and with my other idols – martial arts stars Mathias Hues and Olivier Gruner! You had a small role in Sofia Coppola’s SOMEWHERE with Stephen Dorff and Elle Fanning. What, if any are the differences in her Directorial approach from the action Directors you tend to predominantly work with? In the 2004 film MOSCOW HEAT you starred opposite the legendary Michael York along with cult heroes Richard Tyson, Adrian Paul and Andrew Divoff. Any stories you can share from the shoot? What was memorable about the experience? Alexander Nevskey: MOSCOW HEAT was the first film which I produced. I also wrote the script with my friend Robert Madrid and played the main part. It was crazy hard but a lot of fun! Working with Michael York was an honor. He made sure that we rehearsed a lot before every scene. Michael was the first one who told me that I shouldn’t try to copy any of my idols and should just be myself on screen. 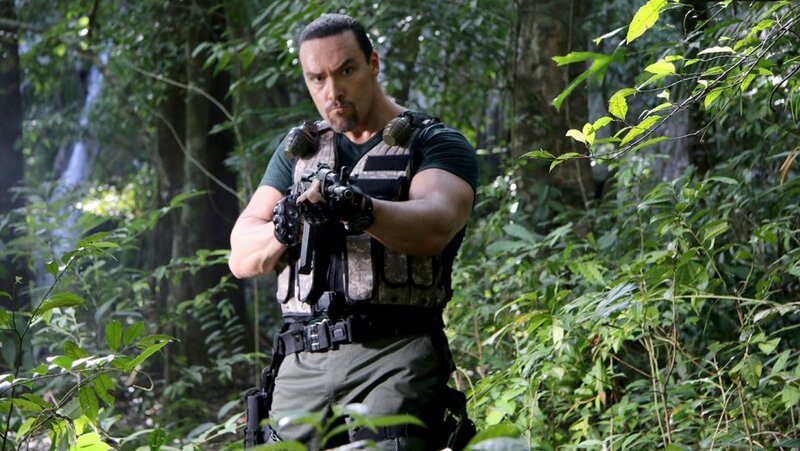 And my co-stars Adrian Paul, Richard Tyson, Joanna Pacula and Andrew Divoff were all great to work with. You’ve been known to turn down the typical ‘bad guy’ roles someone of your size and demeanor may be typecast to, has sticking to your resolve in this case proven to be a challenge in the industry? Alexander Nevskey: Yes, it’s a big challenge but I like it this way! Arnold Schwarzenegger gave me advice once, he said: “don’t depend on anything besides yourself in Hollywood, keep your audience in Russia and try to produce your own movies!” That’s exactly what I’ve been doing all these years. I produced 7 big projects already and I’m an established movie star in my home country (my films are always wide theatrical releases in Russia and all over the ex-USSR). I never played a stereotypical “Russian bad guy” in Hollywood and I’m proud of it. As an accomplished bodybuilder, what was it that made you want to turn to acting? And what sort of new challenges did that entail? Alexander Nevskey: I was a very skinny 14 year old kid when I watched Conan The Destroyer and it changed everything. I became the most famous bodybuilder in Russia in the 90s, have won 3 WBBF/WFF Mr. Universe titles, wrote 10 fitness books and hundreds of articles about natural bodybuilding. But I always dreamed about being in movies so I moved to California, learned English at UCLA and studied acting in Lee Strasberg’s Theater Institute. My debut in Hollywood was Walter Hill’s Undisputed. The biggest challenge was to lose weight – I had to drop about 40 pounds of muscles because I was really too big (about 320 pounds). Everything else was just dream come true. I understand you took martial arts master classes with Chuck Norris and Steven Seagal? What was that experience like? Did you find any difficulty training in martial arts as a 320lb bodybuilder? Alexander Nevskey: I attended Chuck Norris’s seminars in Moscow and Steven Seagal gave me some lessons personally in LA. They are great martial artists and action stars! I was a boxer for a long time so it wasn’t that hard for me to study with them. By the way, in Showdown in Manila we had the legendary Al Dacascos as a fight choreographer (Mark’s father and trainer, he was also a close friend of Bruce Lee himself). Al created very simple but brutal fights for me in this movie. And in Showdown in Manila I was big again, about 300 pounds. What’s next for you? Any new obstacles in your path that you’re looking to overcome? Alexander Nevskey: My next action film Maximum Impact will be released worldwide soon. It was directed by Andrzej Bartkowiak (Romeo Must Die) and written by Ross LaManna (Rush Hour franchise). It’s my biggest project to date and I did overcome a lot of obstacles to make this one from the beginning to the end! I produced it through my LA production company Hollywood Storm and starred with Kelly Hu, William Baldwin, Tom Arnold, Denny Trejo, Eric Roberts, Matthias Hues and Mark Dacascos again. Fans can get updates on my official Instagram @RealAlexNevsky and Twitter @NevskyAlexandr. 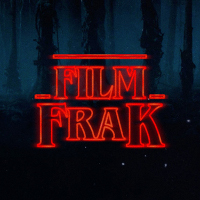 Thank you, FilmFrak and all your readers for the interest and support!